Will you have kids and pets running around? Does growing your own fruits and veggies sound fun? Do you want specific features such as a fire pit or hot tub? 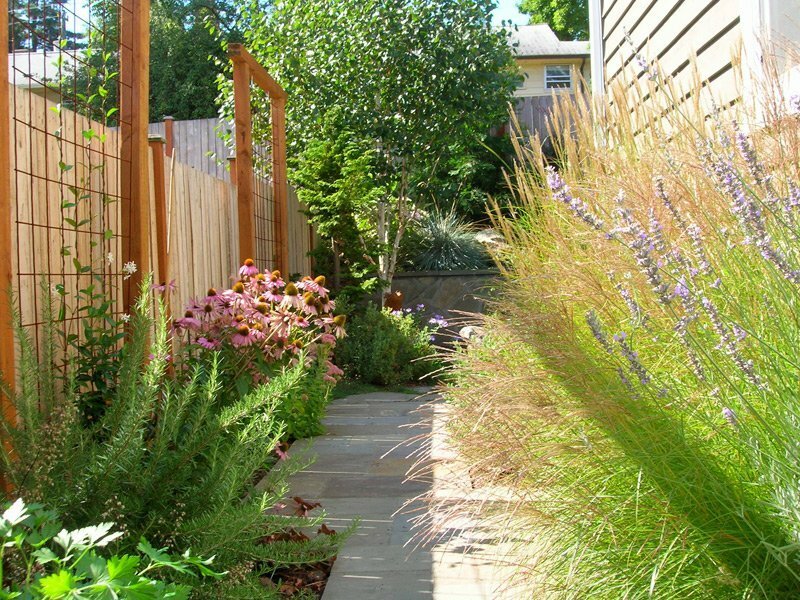 The next step is creating an overall master plan for your yard or property. The plan will consider your entire space, even if you’re only making changes in specific areas. This can help prevent problems down the road, saving time and money. The master plan begins as a scaled drawing identifying major elements and key plants; as we discuss and finalize ideas with you, we’ll add specifics on materials, lighting and other key components. The finished product is a working document for building your garden—one that can be implemented all at once, or in stages spread out over time. This is a large component of our work: Many (if not most) spaces present a variety of challenges, and we love finding ways to work through them to help meet your goals! We’ve seen it all, so we’ve got the experience and knowledge to provide practical, sustainable solutions that promote harmony between you and your surroundings. While we don’t perform installation services, we know plenty of quality landscape contractors who do, and we’re happy to refer you to one of our trusted resources. We’re also available to provide consultation during the process, because while everything should go according to plan, anyone who has done any kind of renovation project knows that’s not always the case. We can make sure the construction and plantings follow the design, and help work through any issues as they arise. We want your outdoor space to look beautiful for years to come—that’s why our designs incorporate sustainable, low-maintenance elements. We can teach how you to care for your new oasis, too. Visit our Coaching page to learn more.